The trusty leaflet is always a good marketing tool for anyone to use to promote an event or offer – and they can be used to great effect to promote events at Golf Clubs. This blog post is for a bit of a niche industry – but I have designed quite a range of marketing materials for Golf Clubs over the years, and therefore it might be quite insightful for anyone who deals with the marketing and design/print side of things for Golf Clubs. It’s also worth a read for the general marketer to as it contains invaluable tips that are relevant across industries. Tip #1. Eye-catching leaflets such as these are perfect for displaying around the Golf Club House to attract members to sign-up for Golfing Events or promote offers. 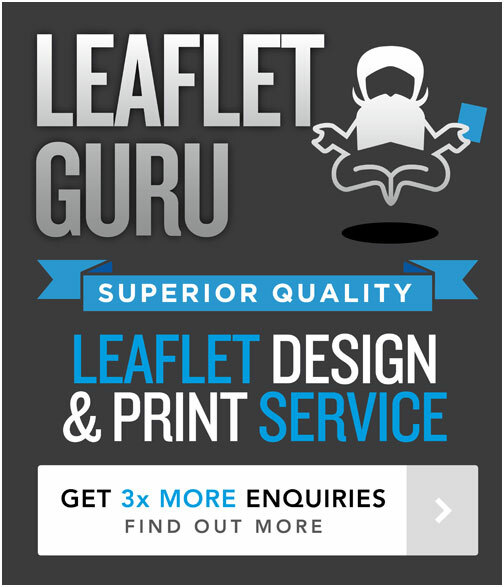 Because leaflets are printed, physical things that you can pick up – it’s hard to ignore them when you see them on tables and in leaflet dispensers etc, so leaflets are still one of the best, and a very cost-effective way to attract attention and get members to get involved in something. Tip #2. Some people may think Golf Club scorecards are un-important, throw-away kind of things – but actually they are one of the most used items at a Golf Club – so extra care should be taken to ensure they are designed effectively and function very well to give Golf Club members a good experience of playing at your Golf Course. The Golf Scorecards can also offer a good space for an advertisement to subsidise the cost of printing. In this 6 page example, you can see how the golf hole information and scoring table is presented very clearly for easy use. Also each of the 18 holes has a simple illustration on golf course layout – vital to help those unfamiliar with the course. On one of the pages on the reverse has a full page advert. Finally, it’s important to get Golf Scorecards printed on the best paper stock – which is durable, can take a little bit of moisture – but can also be easily written on in pencil or pen. #Tip 3. Use stunning imagery of your course where possible to really promote it. Tip #3. Your golf course is your biggest asset. Whenever I have designed marketing materials it has helped a great deal to have to hand some professional photographs of your golf course – it can really help sell the appeal and promote it to existing and potential members. So it is well worth getting those professional photos taken and then to utilise them wherever possible and relevant. In this example a nice image of the Golf Course has been used on a fixture card. Tip #4. To help get across the professional image of your Golf Club, care and attention should be taken to ensure all marketing and stationery items have a consistent and high-quality look & feel. Basically wherever your logo appears – make sure it is designed well and looks appealing and consistent with other marketing items. In this example you can see how letterheads and business cards have a similar, high-quality look. #Tip 5. Well-designed Golf promotional items are a valuable investment – not a cost – so don’t scrimp & save. Tip #5. A successful Golf Club will always be looking to attract new golfers (and retain existing members). Marketing materials are a great way to do this – and if your marketing collateral is designed effectively, whether in print or online – then it will increase membership and in the long run pay for itself and even generate extra revenue. So don’t disregard the power of good marketing, and don’t think about getting things designed and printed as cheaply as possible – as this can result in poor marketing materials and even put Golf Club members off. Money well spent on that extra bit of quality can create an excellent impression and lead to more revenue. Caddie Design & Print provide expert assistance to help UK Golf Clubs with all their design needs, whether in print or online. With over 15 years marketing experience, you can trust Caddie Design & Print to provide all the help you need in a straightforward, friendly, speedy and professional manner.